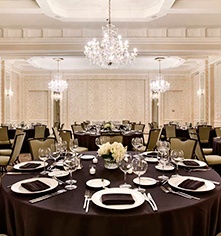 Hilton Orrington/Evanston can accommodate meetings, events, and group occasions of all types, grand or intimate. 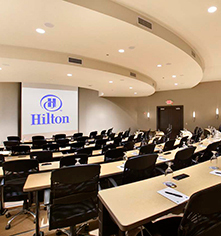 Whether it's connecting your group to their colleagues or clients via video-conferencing, mass producing reports, agendas, and hand-out materials, state-of-the-art built-in audio/visual capabilities, tackable and writable wall surfaces, designated conference planners, or climate-controlled conference rooms, the Hilton Orrington/Evanston can assist with ensuring a productive and successful event. Built to IACC (International Association of Conference Centers) standards, the new 12,000 square foot Conference Center on the ninth floor is truly world class. 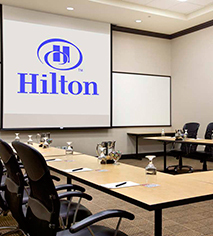 With state-of-the-art audio/visual capabilities, wireless connections, and dedicated meeting, registration, and break space, this distraction-free environment sets new standards for Chicago conference centers.